So you want to eat healthily but you also want to eat well? 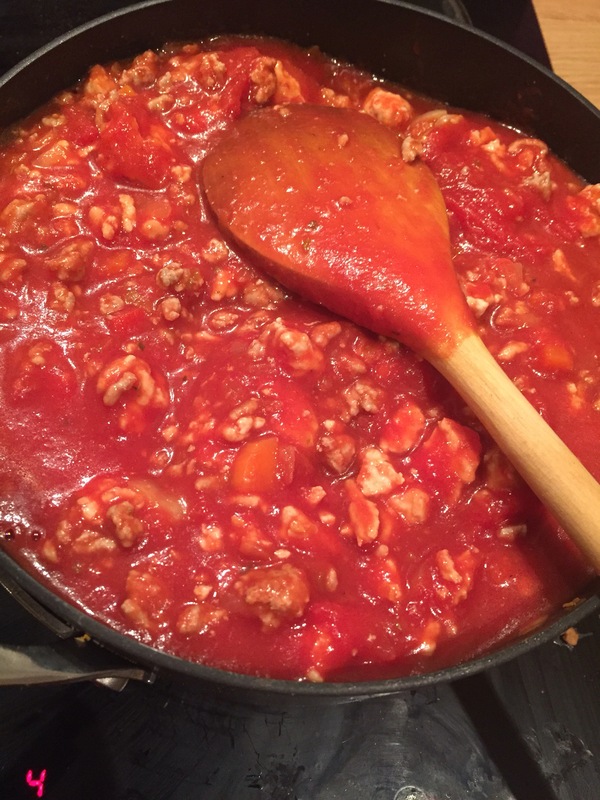 Hmm…..I give you turkey bolognese. No, it’s not dry, and no, it’s not bland. Trust me. Even my Mum likes it and she won’t eat anything that looks or feels even vaguely healthy. We’re not talking superfoods here, but we are talking lean protein, plenty of vegetables and some punchy herbs and spices for good measure. 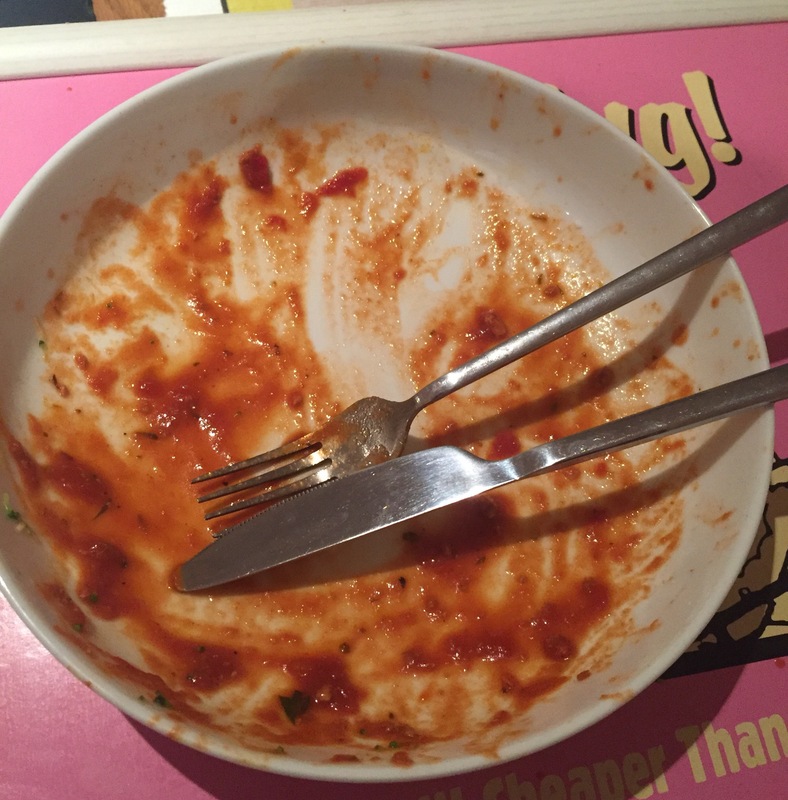 What’s more, it hides any sweetness wholewheat spaghetti comes with so it actually tastes really quite luxurious even if you bring the calories and carbs down to the minimum. 1. Finely chop the onion, carrots and pepper (although I prefer to keep the pepper pieces sort of bite-sized) and grate the garlic and ginger. Heat a splash of olive oil in a large saucepan or stock pot over a medium heat. Chuck in the onions, garlic and ginger and cook until soft and transparent. Don’t be tempted to turn up the heat – the garlic will burn! 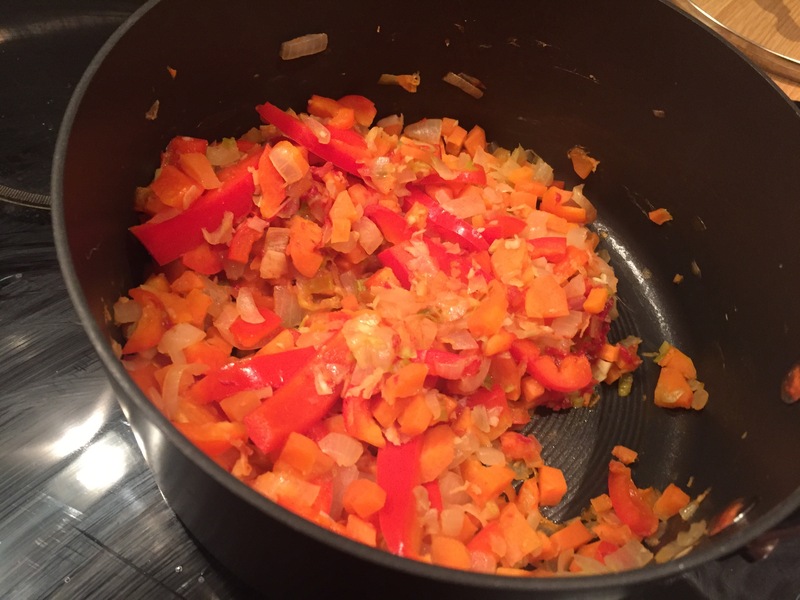 Next, add the carrots and pepper and continue to cook out, stirring every now and again. The idea is to soften the veg so that it becomes part of the sauce, not to brown it. Add the tomato puree, stir it in and keep cooking it all out. 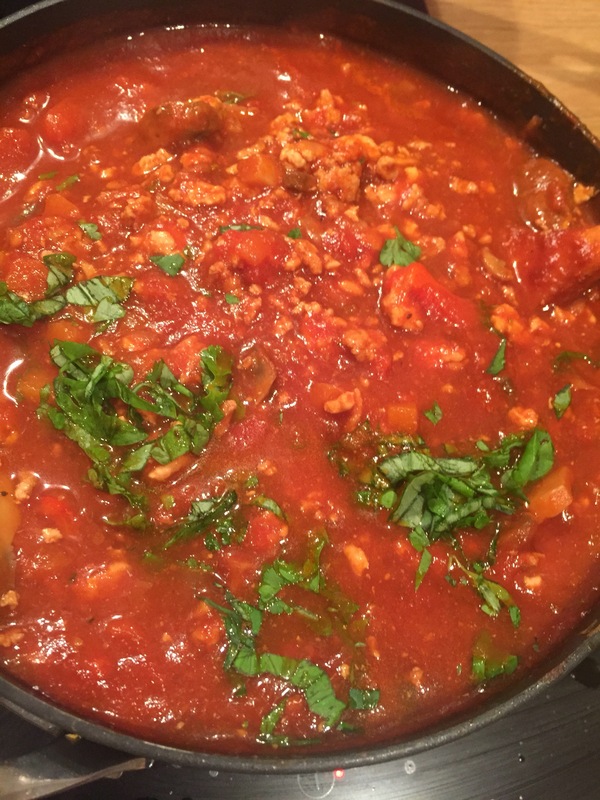 When it’s starting to turn dry, Add the red wine and let this simmer, steaming off the alcohol and any harsh taste. 2. Grab your largest frying pan, add a little oil and turn the heat up to the max. 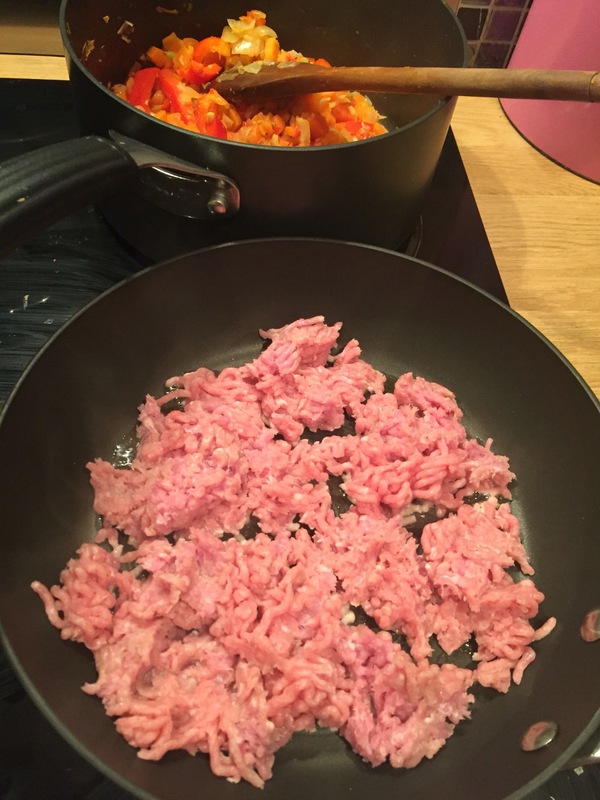 Brown off the turkey mince, a few handfuls at a time to prevent overcrowding and lowering of the temperature, letting it turn golden brown before turning. This stuff will kick off quite a bit of water and fat, so keep some kitchen roll handy to mop up any liquid if it looks like the mince is starting to boil rather than brown. When it’s nicely brown on both sides, add to the saucepan, dry off the pan, then brown the next batch. It may seem a little odd to use a combination of turkey breast and thigh meat, but I think it gives the perfect amount of fat balance to keep things moist without over greasing the pudding. 3. 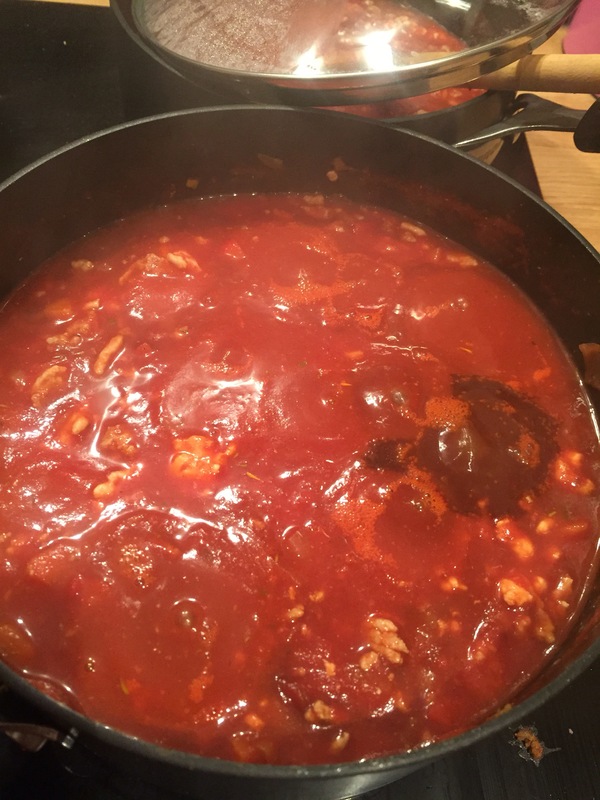 Stir the mince into the vegetables, add the tinned tomatoes and some of the passata – you may need more or less of this depending on the overall balance of mince and veg to sauce, bearing in mind that it will reduce during cooking. 4. Add the beef stock pot and stir in – this can take some time and effort to distribute evenly but it really helps to round out the flavour. Add the Worcestershire sauce and balsamic vinegar, then the dried spices and herbs, lemon juice and sugar and stir. Put a lid on and leave alone to simmer (check the temperature) for around half an hour. 5. 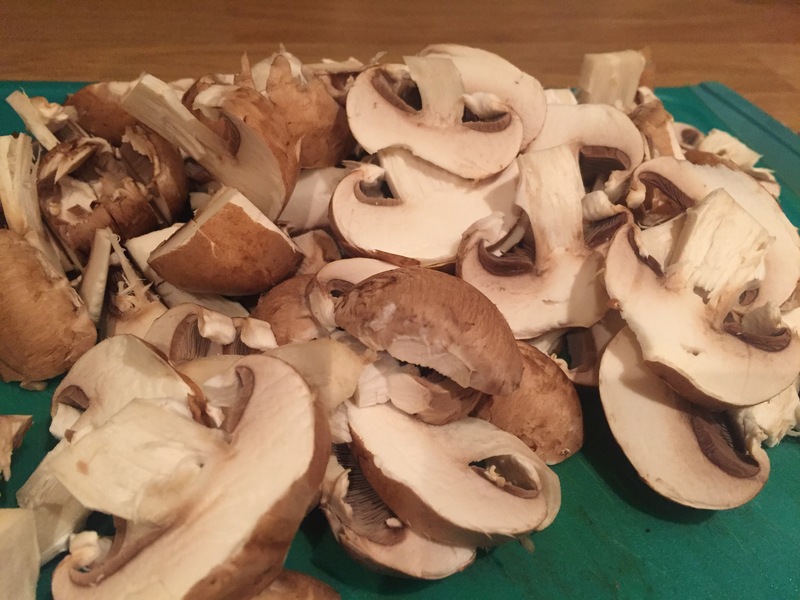 Cut the grotty stalk ends off the mushrooms then slice them, bearing in mind that they will cook down a bit in the sauce. Add to the sauce, stir in, and cook out for another half hour or so, stirring every now and then. You’ll notice that the sauce has already started to deepen in colour. 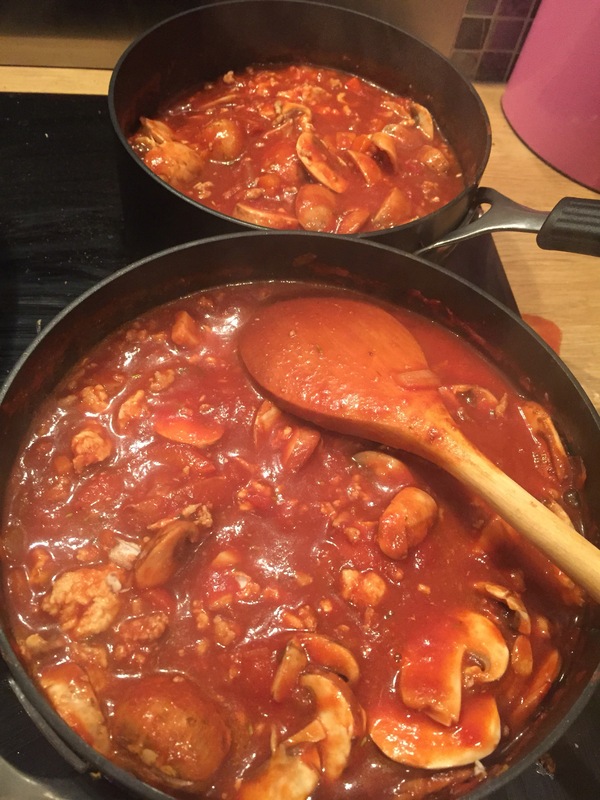 Oh and if your saucepan isn’t big enough to take everthing, you can just as happily split the sauce into two saucepans, just remember to split any extra ingredients between both. 6. Put the lids on and cook out for at least another half an hour to 40 minutes before serving, but ideally as long as possible. Taste, adjust the seasoning and then add the fresh herbs before stirring through a final time. Serve with some perfectly cooked pasta (not necessarily spaghetti! ), green veg or salad and maybe even some garlic bread. 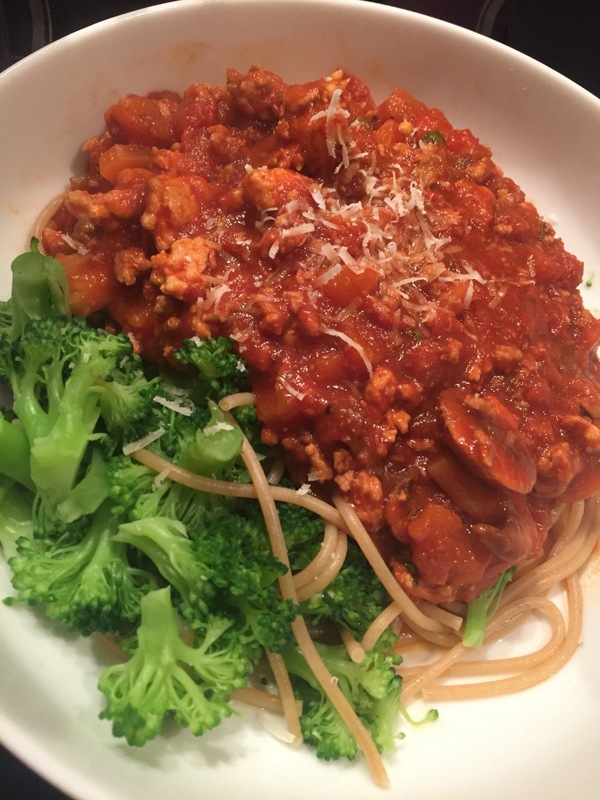 Grate a little fresh parmesan over the top if you have some -a little goes a long way if you’re counting calories. This batch fed me for two suppers, and my parents for one, with a large freezer bag going in the freezer, so I’d day it would feed 6 people easily.